Hey! It’s another update! Riveting stuff. Tons of important things this week, so let’s get right to it. 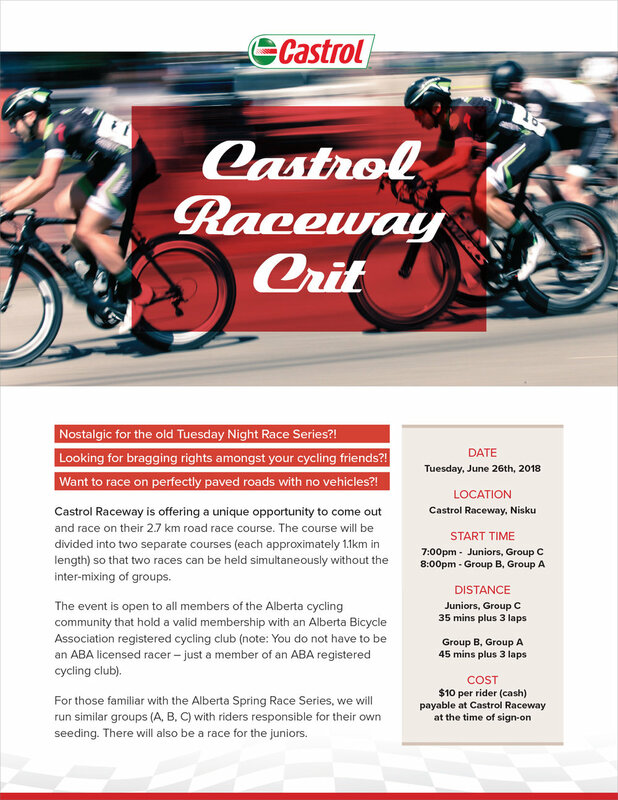 There is a midweek criterium out at Castrol Raceway on June 26 - I highly recommend everyone come out, as this is a great chance to work on your fitness and skills in a more competitive environment. There will be 4 groups of varying skill levels. If you are a member of ERTC, you are welcome to come at no cost, as you do not need a race license and we will be paying for your registration. Check Facebook for additional information as there is no website. See the poster below for more information. If you would like to work on cornering practice, tomorrow's interval session will be held at the research park so you can get some cornering practice in before the race. June 26th’s ride is cancelled in lieu of this race. We will post details on transportation coordination on Facebook. If this event is successful with many participants, these races may become weekly. This is our goal as we believe that this type of event, with low stakes and emphasis on development and skills is an important addition to the cycling scene in Edmonton. Wednesday ride is a go, it will be led by Alain and will be aiming for 35-45km. Saturday’s ride is cancelled as we are hosting a race that day and we will be expecting people to either race or volunteer.